I’ve been trying to think of some way to let my friend Michelle know we are thinking about her during this devastating time of losing her 26 year old son in an accident. She is a wonderful artist, well known in her area of Australia and is very passionate about her art. She’s had a very trying year with a sick husband, supporting her family solely with her art, and now this on top of all that is unbearable. I’d like to ask you to do a small thing that will be a big comfort to her in the hard days ahead. If you could take an old paintbrush and put a word or two of comfort on it and send it to the address below I’d greatly appreciate it and I know she would. By each of us doing this small thing she can receive these words of comfort and gather them close to her in her studio. Art does save and it will help her as she deals with what lays ahead. I know those of us that have children can feel for a mom going through this even if we don’t know them. Thank you for taking a moment to uplift a fellow artist in another part of the world. Thanks for thinking of this and for sharing so that we can offer our thoughts, too. I have just mailed her a very fine brush, it went in a regular envelope. 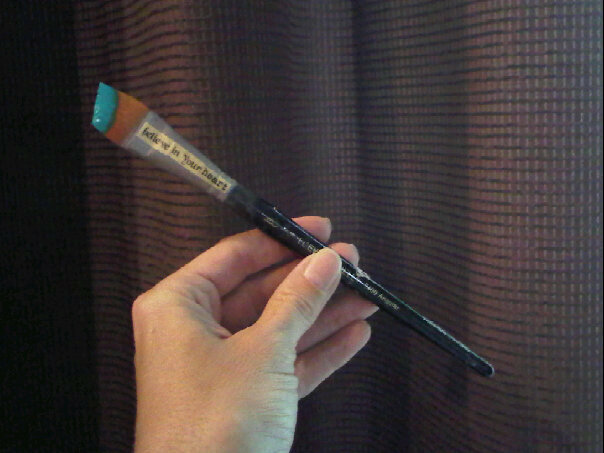 I will definitely send a paintbrush to your friend. I think you are a wonderful friend to send encouraging messages and to encourage others to do the same. We can all be Earthangels by these very acts of kindness. I paint Earthangels around the world and she will inspire me when I get to the Australia one. Pam; I have to be honest and say I want to respond to this in a huge way. However, I do know that postage is extremely expensive to Australia. I am not in a great position in terms of budget at this time..
Could I possibly make a card, for Michelle, with some comforting words that I feel would be appropriate. A paint brush would mean packing it up a bit and it just would be a bit much in terms of postage. Somehow, could you let me know if a card would be appropriate? If it is, I will get right on it. My heart goes out to Michelle. So sorry to hear about this terrible tradegy, it brought tears to my eyes. I’ll be sure to send a paintbrush in the hope that collectively it shows her she is not alone. Any Idea what the postage might be? This is a great way for us to let her know we are thinking of her. Thanks for sharing your idea.